Pub Crawl? Been there, done that. Try Flying Pub Tours! Let’s face it, there’s only so many times you can make your way from one end of Fortitude Valley to the other until the novelty wears off. So, rather than making do with your local for another weekend like any other, get your next pub crawl off to a flying start with Pterodactyl Helicopters? 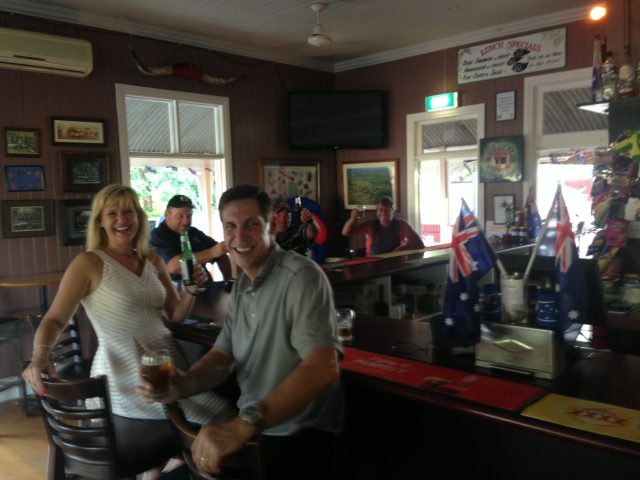 We offer all the tried and true delights of the traditional Aussie pub crawl with the added rock star glamour of your private chopper as means of transport – so no need to worry about a designated driver! Country Pub Crawl by Chopper? Yes, please! 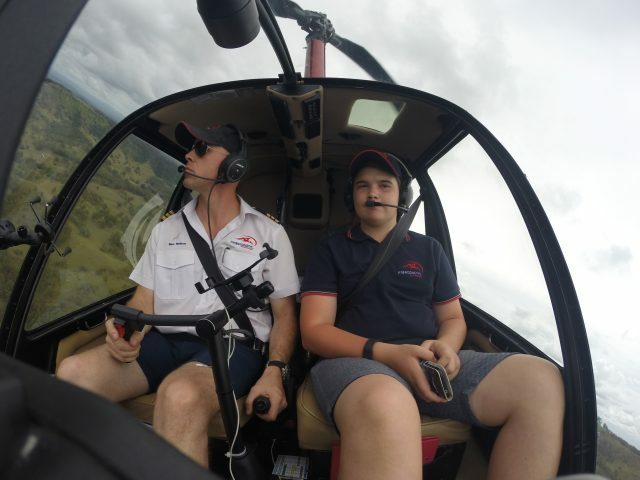 Pterodactyl Helicopters’ Country Pub Crawl takes you and up to five mates to some of the finest watering holes of South East Queensland. Running from 9.30am to 4.30pm, our high flying pub tour leaves enough time to visit five of our select locations at a leisurely pace, drinking in spectacular sceneries from up high alongside delicious, locally-produced beverages. 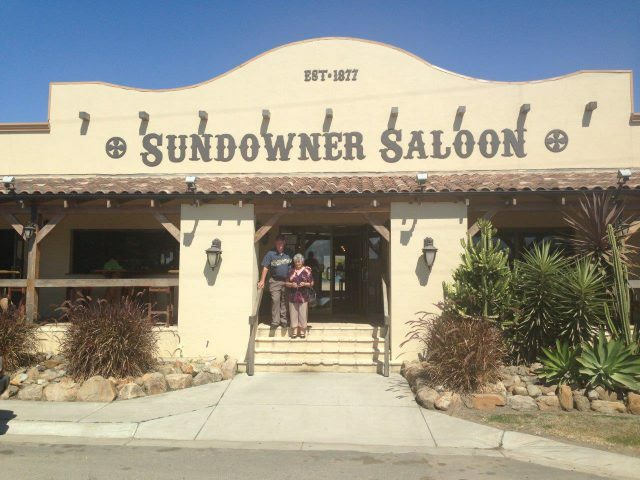 The Sundowner Saloon, offering a range of tasty craft beers and famous for its German heritage – which is of course excellent news when it comes to beer. 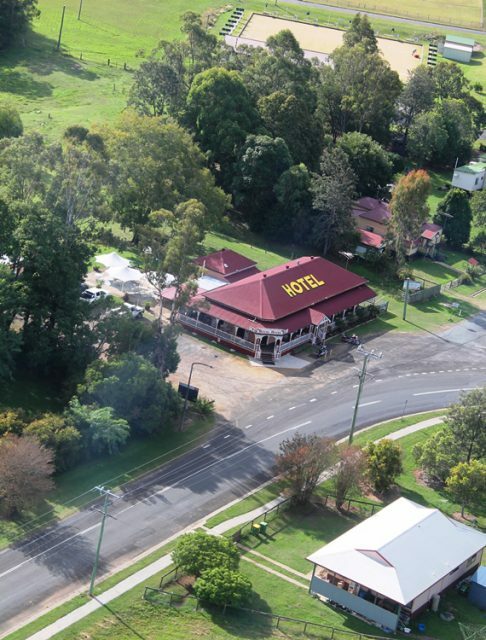 The Dugandan Hotel, or The Dugie as it’s known, where you can kick back and enjoy the charms of a quintessential Queensland pub – and some fine wines courtesy of Sirromet winery, if you fancy. The Bearded Dragon, one of the secret hot spots on beautiful Mount Tambourine that is sure to please all senses – the view from the top as you arrive is going to simply blow your mind. The Pumpyard Bar and Brewery, an absolute gem of a place when it comes to artisanal brew. The Pumpyard is a leading force in the noble battle against boring beers and its selection is second to none. Pterodactyl Helicopters also frequent the Royal Hotel Harrisville, the Mulgowie Hotel, the Peak Pub,the Glamorganvale Hotel, the Porters Plainland Tavern, The V Hotel in Veresdale, The Scenic Rim Brewery and many more. Spoilt for choice? No, you’re not – because our Country Pub Crawl route is not up to you. Pterodactyl will take you on a series of blind dates with these beer-flavoured beauties, so all you need to do is lean back, relax and let the day take its course. With so many great locations to visit, you can’t loose. Pterodactyl Helicopters’ pub tours depart from Lake Manchester, our Ipswich Helipad or the Archerfield Aerodrome – unless you would like us to pick you up directly from home (residence permitting). 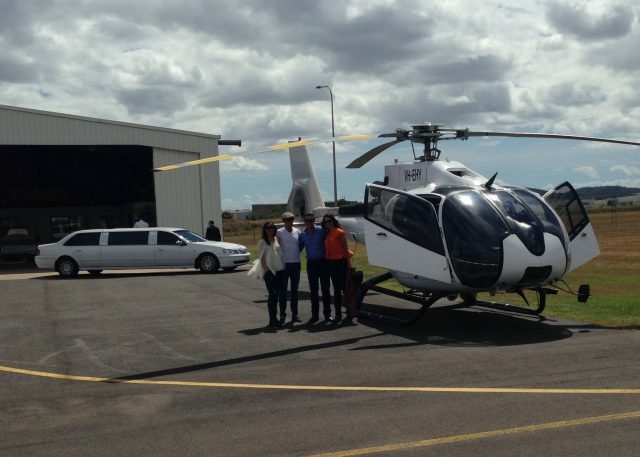 The tour includes a beverage at each stop as well as lunch at one of them, so there’s nothing more to it than hopping into your chartered chopper, high-five your fellow crawlers and get set for an epic day of fun. Contact us today to get set for the pub crawl to end all pub crawls! We’re ready when you are.